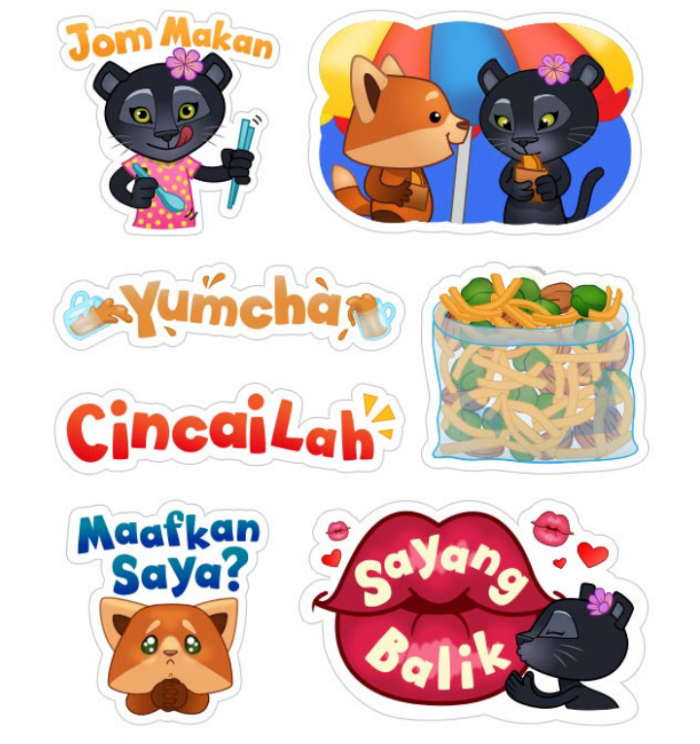 Viber's First Malaysian Sticker Pack "Hai Malaysia!" Thanks to the various races living together in Malaysia, us Malaysians have gotten pretty creative with our word choices. We speak full sentences that consist of different languages, yet we still understand each other perfectly. Viber knows this well: their latest sticker pack is called “Hai Malaysia!”, and consists of more than 50 localised stickers showcasing the everyday life of Malaysians. They also feature some of the local slang we love to use, such as ‘Walao Eh’, ‘Sien Ah’, ‘Yum Cha’ and ‘Bojio’. There are also plenty of stickers which highlight common situations that most Malaysians face, especially in the Klang Valley. These include scenarios such as being stuck in a traffic jam, or commuting on the LRT or the bus. This is not the first time that Viber has attempted to offer Malaysian users localised content: last year, they teamed up with Malaysian personalities and brands for the launch of their Public Chats feature, allowing users to follow live conversations held with individuals like singers Amanda Imani and Imran Ajmain, as well as WWF Malaysia. Malaysia’s not the only country to have enjoyed localised content from Viber either: last year, the messaging platform released World Cup sticker packs that were localised to each participating country of the football tournament. It has also launched unique stickers for festivals such as Diwali in India, the Water Festival in Myanmar, as well as two Singapore sticker packs in line with the SG50 craze. It’s nice to know that Viber isn’t neglecting their users in Malaysia, by providing us with stickers that resonate locally. The new sticker pack “Hai Malaysia!” is already available on Viber; users can download it for free via the Viber Sticker Market. This is just the first in a series of Malaysian sticker packs to be announced in the coming months, so do watch this space for more updates!